Coco and I spent Saturday collaborating on a new creative project that parlays our passion for fashion and photography. You can start following us on Instagram at @ouiwant. 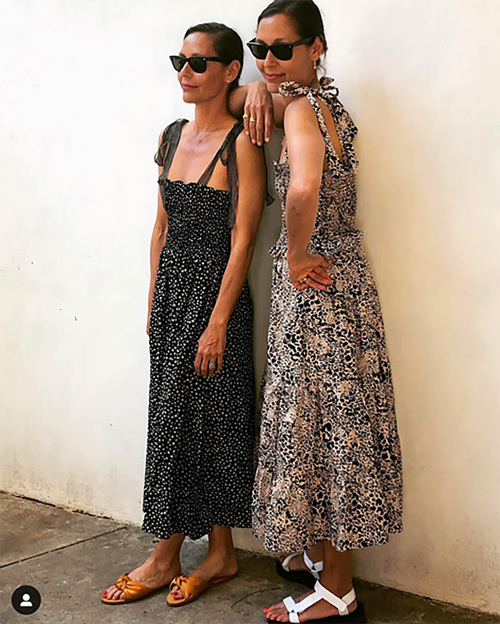 The above snap, a BTS outtake from our shoot, is a peek at what's to come: a constantly evolving high and low mix of our just-discovered favorite clothes, makeup, accessories, mine leaning more beach, hers gravitating more Broadway, all completely shoppable. My dress is by La Ligne, hers Rebecca Taylor. (Love the tie straps on both!). I sourced her $15 sandals at Target, and she found our new go-to (peachy/springy) red lipstick by Pat McGrath on a recent photo shoot. I swear it's perfection!